Let's write a handwritten letter like days of olde. It's been many years since I last sent or received a handwritten letter and experienced the joy of reading some long awaited news from family and friends. Even emails seem to be dying a slow death, for nowadays we choose instant messages or social media to communicate - I am as guilty as the next person when it comes to that. But, there was a time when I was a prolific letter writer, something I miss doing, but just never make time for anymore. I guess back in the days before internet and smart phones it was the only way to stay in touch with people living faraway. Now, everything is instant. I used to be that kid who spent all their pocket money buying beautiful stationary sets to write letters to loved ones. 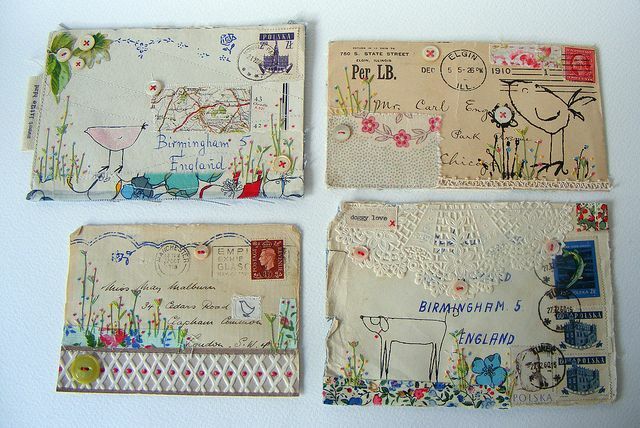 There is nothing quite like setting out some crisp paper and using an equally swish pen to scribe cursive letters ever so carefully so as not to make a mistake, sometimes adding a drawing, maybe a pressed flower or photograph along with a doodle on the envelope before sealing it [sometimes with a lipstick kiss], adding stamps and popping it into a letterbox, this just does not compare to hitting a few keys, running spell-check and adding in some emoticons, no? In our hurried world of today what a pleasure it would be to have a letter delivered through the post; knowing someone has spared some of their precious time to put pen to paper would make my day and I think it would even put a smile of my Postman's face! Sadly, the only letters that seem to pop through my letterbox these days are bills, reminders of an insurance expiring or some junk mail or the other. Also, how boring is a email inbox, not half as exciting as opening a real letter is it? I would like to see our lovely vintage red letterboxes filled with handwritten letters like days of gone by. A letter can be can put away to rediscover years later. Imagine pulling out a pile from the back of a drawer or a shoebox under the bed - to pour over words of encouragement, happy news, sad news or maybe even a declaration of loves young dream from an old sweetheart. 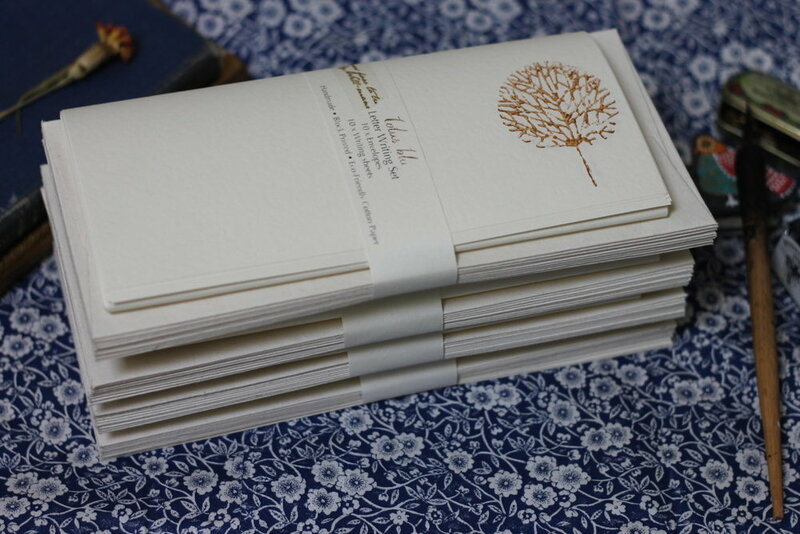 Sending a letter can be a creative process too, not just with the words we choose to use, but also in presentation. Some mail art is just so exquisite you could spend an age just looking at the envelope before even getting to devour the words inside it. 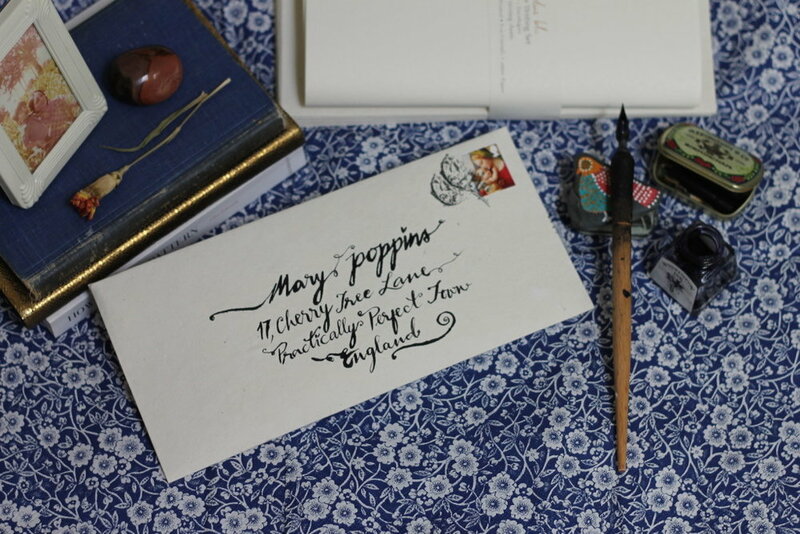 I have been longing for that excitement of curling up in a favourite armchair with a cup of tea reading a handwritten letter, so I decided that I will make an effort to send my first letter in a long time. 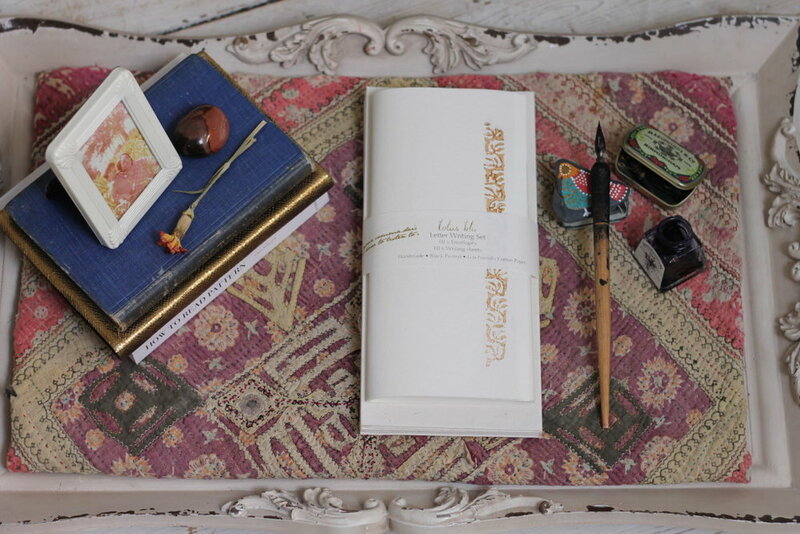 I wanted it to be extra special, so I made some block printed letter sets on lovely khadi paper I recently had delivered from India. I hope I will receive replies by snail mail! 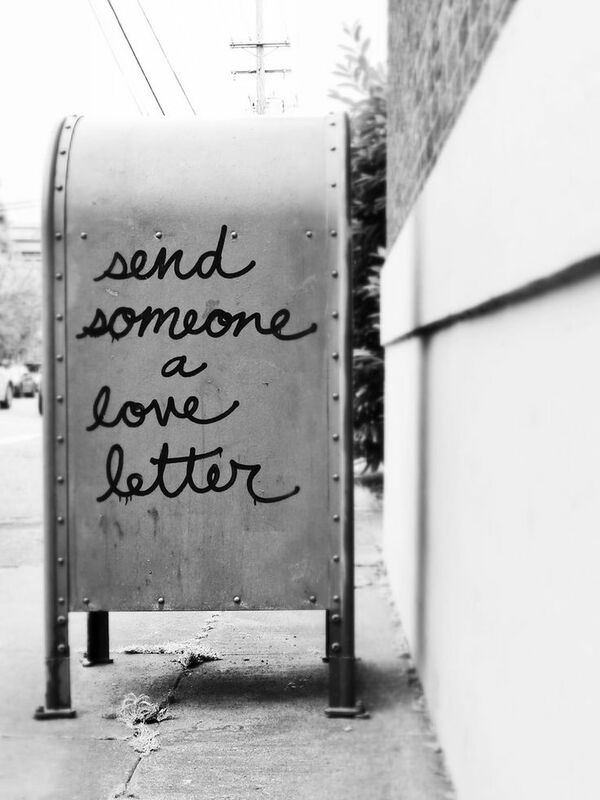 Go ahead, take your time, collect your thoughts, write them down and make someone's day that little bit brighter by sending them a handwritten letter. Let's give our kids a chance to have a pile of letters in a shoebox to rediscover years later. Let's get them to write to a friend or cousin maybe? A great way to get children to enjoy letter writing would be to get them to create their own mail art as most kids love to draw. Why not encourage your child to write a letter to their grandparents this weekend, I am sure they will love it and so will the grandparents.